How is the DAT Graded? 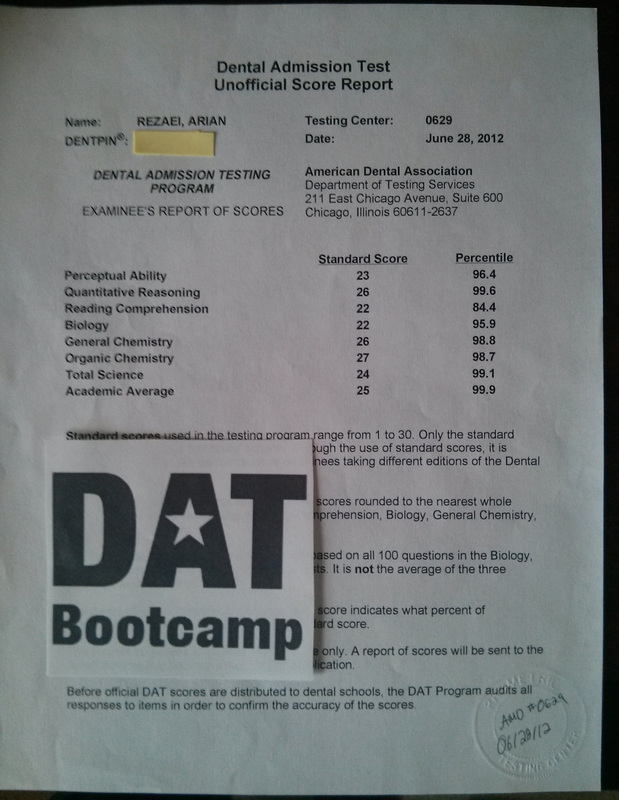 To begin, your raw score on the individual sections of the DAT are converted into standard scores. All of the DAT sub-sections (Biology, Chemistry, Organic Chemistry, Perceptual Ability, Reading Comprehension, and Math) are individually graded on a scale of 30 points. Your sciences raw scores combine to make your Total Science Score (TS), and everything except your perceptual ability section is combined to make your Academic Average (AA, the most important score). The standard score is designed to make the tests fair for everyone. There are multiple versions of the DAT being administered simultaneously; the standard score enables admission committees to compare the DAT scores of students taking different versions of the test. This means that if you get an easier version of the DAT, missing more questions would hurt you more than if you took a difficult version of the DAT. In the end, you’ll score the same regardless of what version of the test you take. A lot of students are floored once they realize how heavily scaled the DAT is across sections. For example, on the 2007 DAT exam, missing five questions in the organic chemistry section (out of 30 total questions) results in a standard score of 20. Missing five questions in the general chemistry section (out of 30 total questions) results in a standard score of 19. The DAT is not graded linearly. As you can see, there is very little room for error on the DAT. The difference between a 22 AA and a 26 AA is often just a few questions. Therefore, it’s important that you dedicate studying time to every section of the DAT. Continued practice is the best strategy to recognize your weaknesses and prepare you for test day.